DALLAS, TX--(Marketwired - February 02, 2017) - Dallas-based Citadel Partners, LLC, a privately held real estate advisory firm, is proud to announce that Mark Cypert, CCIM has joined the firm as Managing Advisor of its Capital Markets Group. In his new position, Mark will use his expertise to expand the firm's capabilities in its corporate tenant advisory practice, while additionally, leading strategy for new investment and development opportunities for partners and clients. 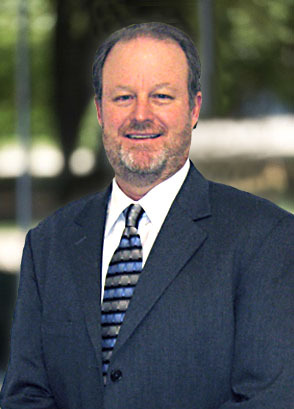 "Mark has a rich history in the North Texas market and an unbelievable depth of knowledge and capabilities. His expertise will undoubtedly add value to our advisory services platform," said Scott A. Morse, SIOR, CCIM, Managing Partner of Citadel Partners. Mr. Cypert also serves as a Partner with Middleton Partners, a private equity investment firm specializing in creating value in quality properties through acquiring, developing, leasing, managing, and repositioning these properties in targeted markets. During his career, Mr. Cypert has participated in 16.2 million square feet of office, industrial and retail acquisition, and development ventures with a total market capitalization of $2.1 billion. Prior to Citadel, he was the Chief Investment Officer and Office Division President for Encore Enterprises. Mr. Cypert also served as the Managing Director of Cawley Partners where he directed the firm's commercial real estate investment funds and as Senior Vice President of CRT Properties, a NYSE office REIT, where he oversaw acquisitions and development in the firm's Southwestern and Mid-Atlantic regions. "Mark is a quality individual and is highly regarded in the real estate community. We are blessed and excited to have Mark join us and know that his experience in acquisitions, development and partnership structures will clearly increase value for our clients," said Scott M. Jessen, SIOR, CCIM, Managing Partner of Citadel Partners. Mr. Cypert is a graduate of Texas Tech University and he is an award-winning Senior Instructor for the CCIM Institute with a specialty focus on commercial property market analysis courses which he teaches globally. Citadel Partners, LLC is a privately held real estate advisory firm based in Dallas, Texas. Citadel Partners is an innovative, strategy-based real estate advisory firm specializing in corporate tenant and investment advisory services operating in Dallas/Fort Worth and offering capabilities throughout the U.S. and the globe through its affiliation with TCN Worldwide Real Estate Services. Citadel Partners offers an integrated approach to actively collaborate with clients to create real estate solutions that align and support the client's business strategy, growth, and brand development. In delivering Integrated Business Value, Citadel can shape client solutions around market opportunities, minimize business disruption, and accelerate clients speed to market and project completion. Citadel Partners, LLC, is located at 15770 North Dallas Parkway, Suite 950, Dallas, Texas 75248.